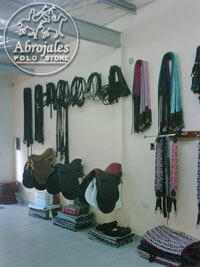 Since 2004, we manufacture and retail top quality polo products at affordable prices. 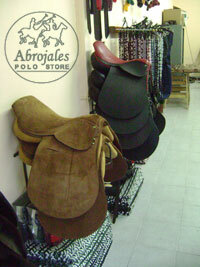 Abrojales, a manufacturer and retailer of polo equipment company, is located in Buenos Aires - Argentina and was founded by Nicolás Quesada in 2004. Nicolás knows polo requirements in depth. He is a polo enthusiast and played polo as a hobby for many years. His expertise enables him to control product quality and performance. As a result, you'll get top quality products at competitive prices. At Abrojales you'll be in direct contact with the owners that are dedicated to provide the best products and attention to their customers. The work consists of raw materials selection, design, cutting, assembly, sewing and finishing. All these tasks are handcrafted taking special care of quality and finishing details. A team comprised of experienced and skilled craftsmen with talent and commitment to meet your requirements. Abrojales have developed high standards to control quality, including a rigorous "on horse test" to evaluate the different raw materials that confer high reliability to products. Abrojales have selected a qualified providers network that suit company quality standards.